Customers in the LaGrange, IL area looking for a true muscle car to drive can now see 2018 Dodge Challenger at Mancari. And for those who are interested in very specific features and technology in their vehicle, the 2018 Dodge Challenger has fifteen different trim model options to choose from. 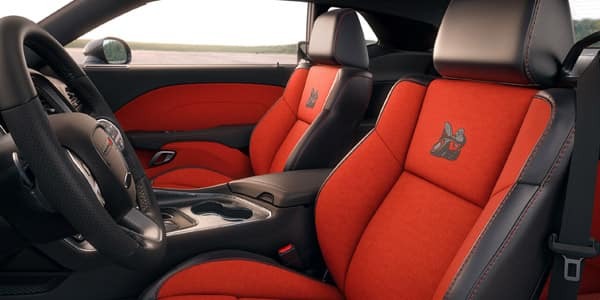 This makes it possible for customers to really choose the right option and customize their sports car so that they feel the power of the Dodge Challenger as they grip the wheel, and enjoy the other luxuries available in the Challenger. 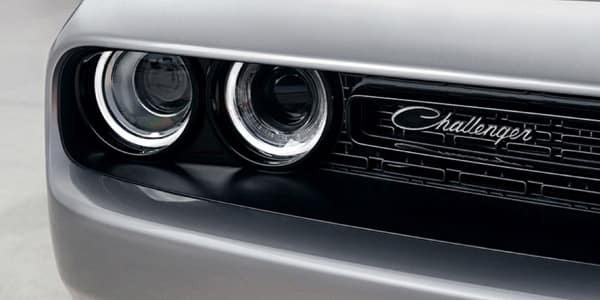 To see the Challenger, browse our online inventory, or stop by the showroom and speak with a member of the sales team and we will be happy to show you our complete inventory of Challengers for you to browse and choose from. For those who enjoy the unmistakable sound of a muscle car, the active exhaust system is an option in the V6 engine and standard in all of the V8 engines. 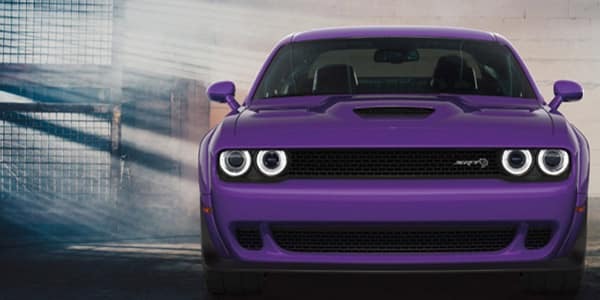 And the active power steering system and high speed engine controller makes the Dodge Challenger more stable while experiencing its power and speed. 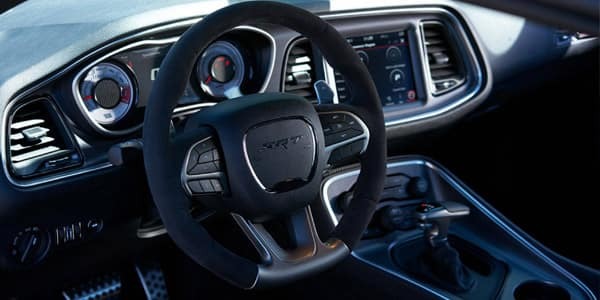 For those who want to feel the power of the Challenger, but prefer an automatic transmission, there is an AutoStick Automatic Transmission and optional 8 speed automatic transmission available. SiriusXM Travel Link and Traffic Service makes it possible to get regular weather and traffic updates while on the road. The use of the UConnect system makes it possible to connect all of your portable devices, like smartphones and tablets. The keyless entry and ‘push button start’ make it possible to get going on the road quicker as long as they are on you, and without having to worry about fumbling for your keys. Lastly, the Available Dodge Performance Pages makes it possible for the driver to review various performance stats on the vehicle. ABS brakes, Alloy wheels, Compass, Electronic Stability Control, Front dual zone A/C, Heated door mirrors, Heated front seats, Illuminated entry, Low tire pressure warning, Navigation System, Remote keyless entry, Traction control. $4,758 off MSRP! Call today to schedule your test drive! Please Keep in mind... Nationwide shipping available, Just ask! We accept all offers and approve most, Mancari's of Oak Lawn guarantees the best prices in the Midwest! Appointments are highly recommended, Call us today @ 708-423-1700. Please keep in mind our inventory changes daily. Tax, title, license and doc fees extra. **Must Qualify for all advertised Rebates -- See Dealer for details. ABS brakes, Alloy wheels, Compass, Electronic Stability Control, Front dual zone A/C, Heated door mirrors, Heated front seats, Illuminated entry, Low tire pressure warning, Navigation System, Remote keyless entry, Traction control. $4,800 off MSRP! Call today to schedule your test drive! Please Keep in mind... Nationwide shipping available, Just ask! We accept all offers and approve most, Mancari's of Oak Lawn guarantees the best prices in the Midwest! Appointments are highly recommended, Call us today @ 708-423-1700. Please keep in mind our inventory changes daily. Tax, title, license and doc fees extra. **Must Qualify for all advertised Rebates -- See Dealer for details.